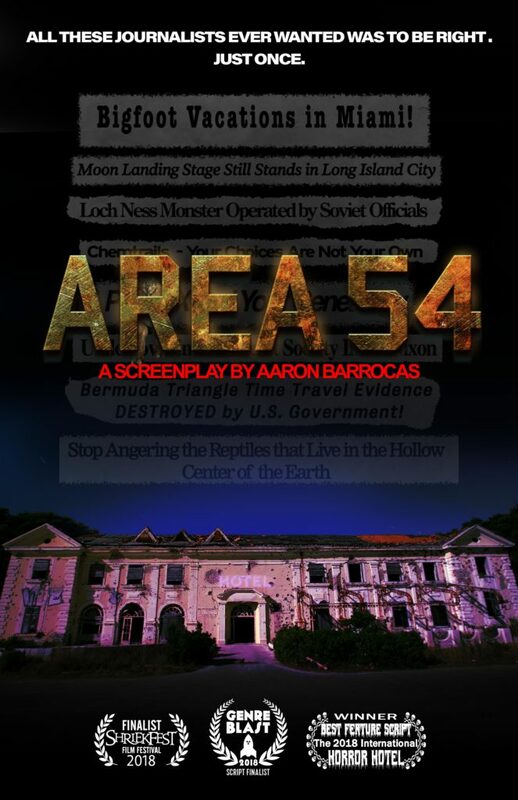 Area 54 is a hidden safe-haven compound for the hardest-hitting conspiracy theorists on this side of our flat Earth. Everything from airplane chemtrails and tap water fluoridation through the Loch Ness Monster has been reported from the walls of this defunct hotel. Their secret location is out, though, and their theories are about to become vindicated in the bloodiest possible ways as Area 54 is overrun by the very stuff of its investigations. In order for any of these journalists to survive long enough to tell this truth, they need to find out what’s attacking them, and why. If anybody can handle the burden of being our only hope for facts and enlightenment, it’s these out-of-shape paranoid shut-ins.